Following a long battle with ovarian cancer, three-time Tony nominee Marin Mazzie passed away on September 13 at age 57. The original star of Passion and Ragtime made a memorable mark on the theater scene and with the family at Broadway.com, which has followed her career since her acclaimed turn in the 1999 revival of Kiss Me, Kate. Mazzie's extensive list of credits also includes turns in Man of La Mancha, Spamalot, Bullets Over Broadway and The King and I. She also appeared alongside her husband Jason Danieley in the Pulitzer-winning musical Next to Normal. 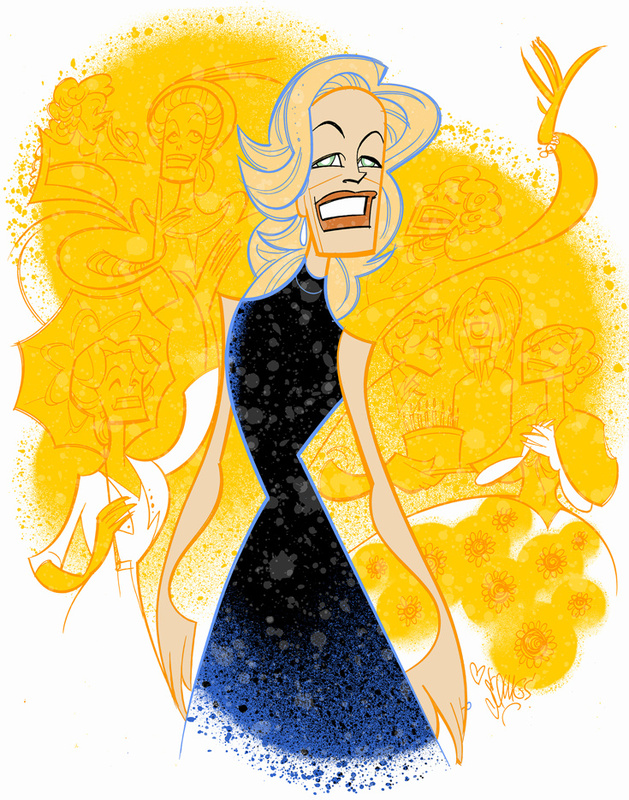 In tribute to the iconic star, Broadway.com Resident Artist Justin "Squigs" Robertson sketched a portrait of Mazzie in a variety of the roles that solidified her standing as a legend of the Great White Way.